The New Year has arrived, and with it, your resolutions for the New Year. High expectations, good intentions, will power, motivation, … and then the thought “Whose Idea was this anyway?” You can blame it on the Romans!! New Year’s Resolutions date back to 153 B.C., when Janus, a mythical king of early Rome, was placed at the head of the calendar. Janus’ two faces could look back on past events and look forward to the future. King Janus soon became the ancient symbol for resolutions and many Romans sought forgiveness from their enemies (for past events), as well as exchanged gifts (for future goodwill). Over the years, this symbolic act has transformed into personal reflections of the past and changing personal behaviors to positively affect the future. How can you positively affect the changes you seek in your personal life? Be specific about your resolution; make realistic, measurable goals and write them down. Limit the number of resolutions you make. Post your list in a visible place to serve as a reminder and to encourage yourself. Take action immediately! Make important appointments with a doctor, dietitian, or counselor. Sign up for a gym membership or buy any equipment you need. Practice those new behaviors that encourage your success. Want to stop smoking? Don’t hang out in smoke-filled bars or casinos. Want to lose weight? Don’t bring desserts, junk food, candy or ice cream into the house. Limit your exposure to people who are likely to encourage resolution-breaking. Surround yourself with good, supportive friends, not people who sabotage or belittle your efforts. Set incremental goals and reward yourself for partial successes. Lost the first 5 pounds? Celebrate with a massage. Ran your first 5k? Treat yourself to a new fitness outfit. Substitute a good habit for the bad one you want to break. If your goal is to eat less junk food, find a healthy food you love. If you want to spend more time with your family, establish a special time during the week when everyone is together. Keeping New Year’s Resolutions is challenging. Had a setback? Be flexible and keep trying! Re-write your resolutions or break your resolution down into smaller steps. Look at your setback as a learning process in reaching your goals. Remind yourself why you made the resolution and what you have to gain by achieving your goal. Make 2014 “your” year – you are worth it! Trying to piece together my life over the past year, specifically in terms of who I am as a runner, is much harder than I imagined. Running, it seems, has played a large role in shaping the person I’ve become. It isn’t something that fits into a “piece” of my life, but rather it “fills” my life with many character-forming influences. I came to this conclusion as my mind drifted back to the former part of this year, when I took some time off from racing and training. I had intended to use the extra time on my hands to sit back and relax a little, but instead I found myself quickly filling that time with other things that kept me busy, and sometimes too busy. And yet, I’m almost certain that I wouldn’t have had it any other way. Why? Because quite honestly, I like being busy. I like having deadlines to meet and goals to achieve; they give me a sense of purpose and satisfaction. I’ve always thought that my “need to run” is really an inherent trait that has me programmed to not just literally run, but to also be in a state of constant movement. I can’t help moving in some form or fashion, whether it’s running or fast-walking, or moving from one project to another and back again. Even if the constant movement requires little time to rest and relax, I’m okay with that. My husband, on the other hand, would tell you that I over-task myself and consequently feel overwhelmed. And he’s right of course, but I’ve realized that my natural, or comfortable state of being, is one which involves non-stop forward-movement. There are times obviously when I need to slow down and force myself to take a break, but those moments of rest are usually short-lived. Sitting still, or being idle, is counter-productive to my must-do/must-move nature; even my mind has a hard time slowing down. As I reflected on this a little more, I began to see more clearly why and how running has shaped me. Since my days are always busy, failure to get up early and run, usually results in no run at all. 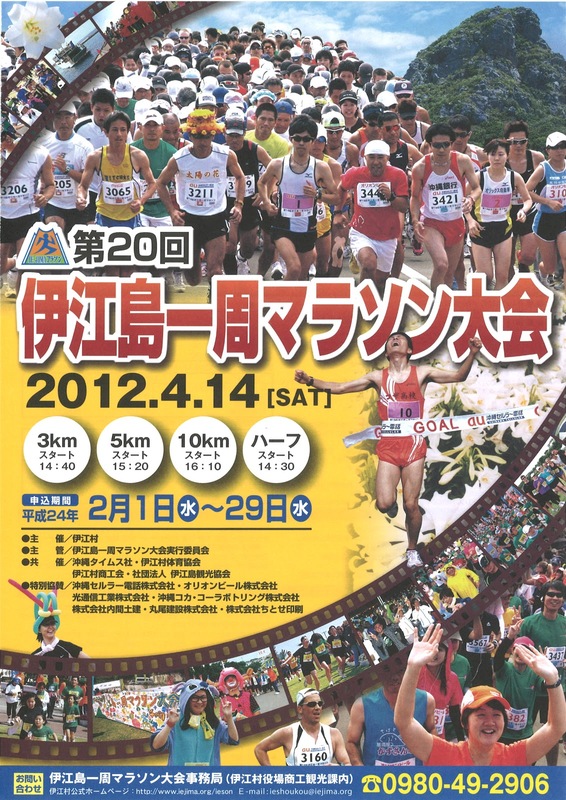 In that respect, running has become a discipline. The discipline of doing something that sometimes feels difficult or uncomfortable, is a discipline that I’ve learned to embrace. There was a time, in my younger adult years, where I hesitated to do anything that took me out of my comfort zone, but strange as it may seem, running has taught me to be much bolder, less afraid. Isn’t that how it is with everything in life? If you never try, can you ever succeed? Last year I applied for the same Athleta scholarship that Rachel Toor successfully applied for, and although my application made it to the second round of selection, that was as far as it got. This year, I tried again, and this time my application made it all the way to the final selection committee. Should I apply again next year and risk further disappointment? Absolutely. You see, running appeals to me not just for the obvious reasons of keeping fit and healthy, but more because of it’s inclination to keep me moving forward, even in the face of challenges that threaten to disappoint or intimidate me. 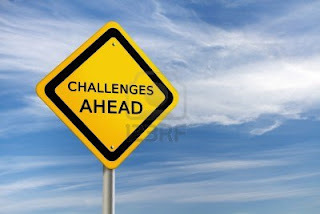 I want those challenges! It’s the challenges in my life that build the kind of tenacity and spirit that I strive for. Let’s face it, it’s easier to shy away from anything that seems too hard, but where does that get you? It takes you down a path of unmet goals and missed opportunities, and where is the satisfaction in that? Isn’t it better to taste the bitterness of failure, than the bitterness of never succeeding because you never tried? If running helps me to be that person who is not afraid of embracing all of life’s challenges, then being a runner is who I want to continue being. Looking forward to another year of running! Can you believe it’s that time again already! Seems like just a few months ago that I posted last year’s Christmas Gift Guide. I’m sure most of you have probably already done your Christmas shopping, but you never know – you might just see something in this guide that’s worth adding to your Christmas list. And, to make it a little more tempting and easier on the bank account, I’ve deliberately kept the items in this year’s list in the strictly “under $50” price range. So let’s not waste any more time, let’s go shopping! 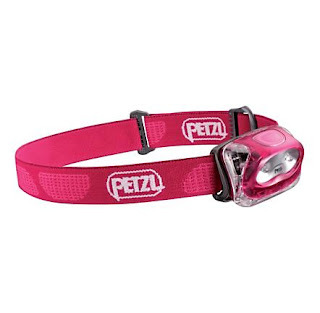 Many of you are now running in the dark hours of the morning or the evening, and if you’re like me and live in an area where some of the streets are not well lit, a headlamp is probably a good buy for you. I’ve fallen in the dark a couple of times, but I’ve never wanted to spend money on a headlamp – these Petzl headlamps are very affordable however and actually kind of cute. Have you ever owned a pair of running shoes with laces that kept untying, even after you had double-tied them? I have! My Saucony shoes above! The Yankz Sure Lace System not only fixed this problem, but made it so much more convenient to slip my shoes on and off – I love them! This is obviously for the pregnant moms out there, and it comes highly recommended from one of our own WOOT moms who is currently carrying her third child. Those of you who know Michelle Van Someren know that she is an amazing athlete who has managed to stay incredibly lean and fit through all of her pregnancies. Michelle suffers from lower back pain, specifically SI (sacroiliac joint pain), and she attributes her ability to keep running during her pregnancies to the excellent support of her pregnancy running belt. I wish I had known about these when I was pregnant with both my girls! 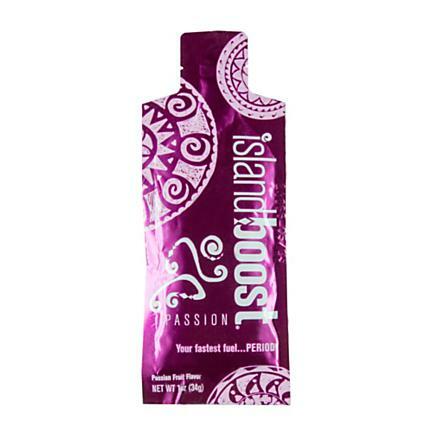 Looking for a gel that’s not filled with artificial sweeteners, flavors, or preservatives? Reviews of this product are promising for those of you with sensitive stomachs, and because it’s more of a liquid than gel-like consistency, you don’t need to chase it down with lots of water. 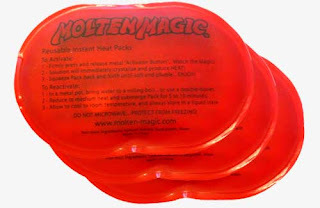 Users of this product also feel that it hits the bloodstream a lot quicker than the thicker gels – some say they feel the effects in less than 10 minutes. This is probably going to go on my shopping list. 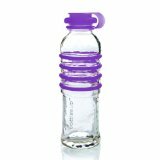 If you’re into clean eating, you might also be into clean drinking – BottlesUp Glass is a company that’s proud to sell water bottles that are made from 75% recycled glass. The bottles are free of known toxins and are a great option for those of you concerned about preserving our environment. Also, BottlesUp Glass donates 5% of the purchase of all pink bottles to The Breast Cancer Research Foundation®. 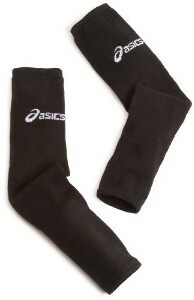 5. a) Asics Arm Warmers – from Amazon, a steal at only $7 a pair! I know we’ve done arm sleeves before but these are just such a great deal that I had to throw them in – they also come in red, royal blue, and white. For a really warm and comfortable (but more expensive) pair of arm sleeves, check these ones out at Smartwool.com. 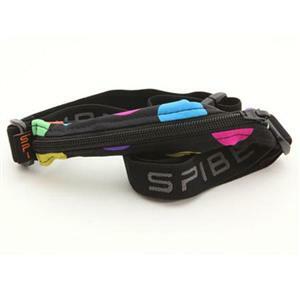 For those long runs where you need to carry extra items, the SPIBelt might be just what you need. It can expand to hold any smart phone, keys, credit cards, and even a passport. And if you’re willing to pay a few extra dollars, you can buy the SPIBelt with gel loops (these cost $21.99, or $26.99 for the water repellent ones, and both can hold up to 5 or 6 energy gels). Okay, this one really caught my attention! 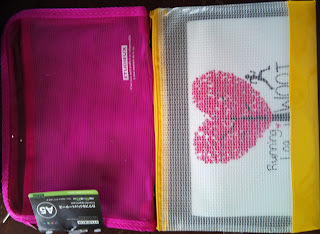 An acupressure mat that can potentially release muscle tension, relieve back and neck stiffness, and help you to relax and recharge – I’m sold! For first-time users, it’s recommended that you start by wearing a tshirt and placing a thin towel over the mat, and then slowly graduate to bare skin and no towel. Start with just a few minutes, and lengthen the time as your body becomes more tolerant of the feeling. Why a compression top, you ask? For some endurance runners, muscle pain is not limited to just the legs; it’s often felt in the shoulders and upper back as well. 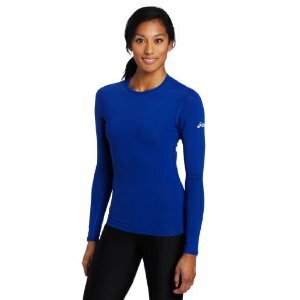 Compression shirts supposedly help to reduce muscle fatigue, as well as assist in preventing injury by drawing moisture away and keeping the body warmer than the atmosphere’s temperature. 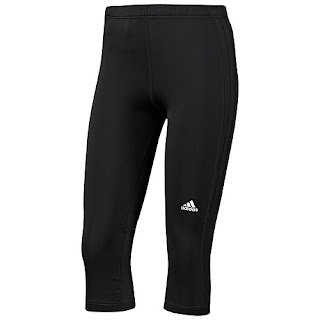 While you’re at it, you may as well get some tights to go with that compression top, and at the sale price of $24, you can’t complain. How fun are these! MeSheeky has just a handful of items to choose from, but I love what they do have available and I love their concept. Whether you need a skirt to throw on over your capris after a race, or you want to hang out in your comfy workout gear while running a few errands, then MeSheeky probably has what you’re looking for. 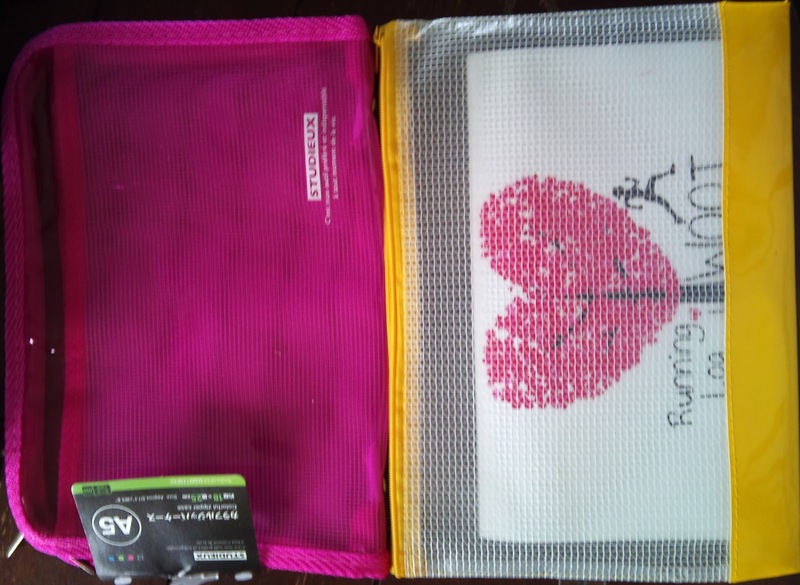 WOOT Running Journal – comes in folder so you can take it with you wherever you go and keep it from getting torn and dirty. Just $12, and we’ll throw in one of our new car stickers for free. There you have it ladies – happy shopping! The race is done. You never thought you’d get to the final day, and then to the finish line and then you did it! And it felt amazing, didn’t it? No matter what your time, or the weather, or any of the other hundred external influences, YOU DID IT!! Congratulate yourself and take a huge amount of pride in you. Indulge in something you always wanted for a little while: maybe a relaxing massage, a long bath with bubbles and candles (without or with your spouse), a nice ice cream sundae, that new Coach bag, a pedicure. The list goes on and on. You may find that once you’ve indulged, that you find yourself a little down, sort of depressed even. Do not panic; this is normal. For those other moms out there, remember your baby blues? That time after delivery when you had done your best in planning and growing this beautiful little human for ten months, then went through a considerable amount of pain and effort for hopefully a short time, and then it was over. Racing is the same feeling. It is the Finisher’s Blues. You may find yourself feeling a little lost, like what next? Your daily schedule was set up before to fit your runs in; your weekends were all mapped out for the past few months. To get past the Finisher’s Blues, take a nap when you can. Rest and drink lots of water, or tea or what tastes good. Then go for a walk or slow run with no goal or purpose, just to be outside. Leave the watch and Garmin at home. Take it out on trail if you can. Enjoy the feeling of being free from a training schedule for a little while. This is what goes into a good mental recovery. You need to relax and accept the break happily. Then ask yourself, what is next? Or the Ie Island Half Marathon maybe……..
Whatever your next goal or race is, enjoy this period of recovery! Use a Journal every day! Runners World had an article that I picked up on last month, “How to Learn From Your Race Experience: Analyze the details of your key events to improve your performance next time.” (http://www.runnersworld.com/race-training/how-learn-your-race-experience). The title intrigued as me I thought of some of my past races and how I could take the bad and make it into good. The very first tip is to Record The Facts! That is a component I have lacked for awhile now. Right after I read the article, I began to use my WOOT running log to write what I ate and how soon before my run, the distance to run and the workout. As soon as I finish my run, I write down how far I ran, how I felt and how the workout felt. This has helped me tremendously to improve my training runs over just a few short weeks. The article also recommends the week before a race, to write everything down including how much you slept, how and when you drank, what clothes you wore. Once you have all the data, you can separate out things you can control (give away that hat that keeps flying off your head!) and repeat the things that did work (eating early and light). Other great things to note in your journal after every run is the weather. This has a huge impact on your pace and how you feel, along with how much water you drink. As we know the summers and humidity can be brutal here in Oki. When your Garmin dies, or your playlist gets messed up or somebody trips you, control your reaction. Instead of letting it blow your whole race, take that bad moment for what it is: a small hiccup in the life of a runner. Remember all the work and effort you have logged in your journal that got you to the start line. And change your mind to be positive. And note the bad thing in your journal so that if it is something you can control (charge that Garmin the night before! ), that you do the next time. We all know how hard it is to remember what we ate for breakfast much less how all our training runs went over months of a training cycle. Writing it all down gives you the opportunity to put all the pieces together for a great race. 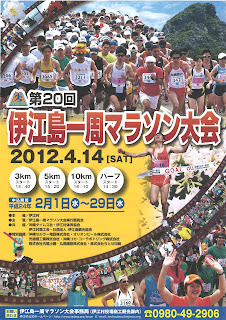 Have a great run and write all about it!